David Pastrnak takes over the NHL goal-scoring lead with 15 as Boston storms past Toronto. BOSTON — David Pastrnak had three goals and an assist to lead the Boston Bruins to a 5-1 win over the Toronto Maple Leafs on Saturday night. 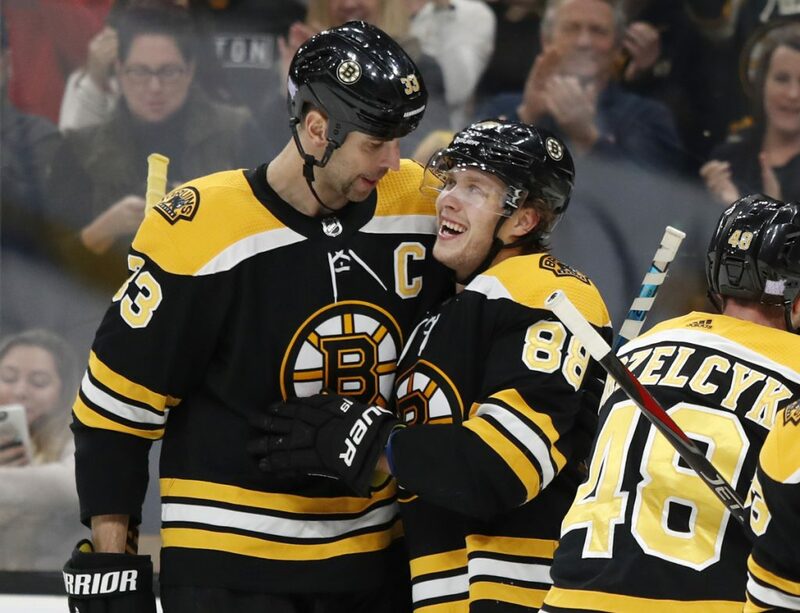 After Pastrnak set up Bergeron for the first goal of the game, Bergeron returned the favor 5:46 into the second with a pass from behind the net for a one-timer from the left circle to give Boston a 2-0 lead. Pastrnak made it 3-0 on a power-play goal 10:24 into the second, tipping in a shot by Marchand after a cross-ice pass from Bergeron with 36 seconds left on a hooking penalty on Toronto’s Martin Marincin. NOTES: Halak was pulled Thursday against Vancouver after allowing five goals on 19 shots. … The Leafs allowed their most goals since a 3-1 loss to Calgary on Oct. 29. … With Rask unavailable, the Bruins called up G Dan Vladar from AHL Providence on an emergency basis. … Bergeron’s goal in the first was the 298th of his career.